« Looking for Vegan Civet Coffee? 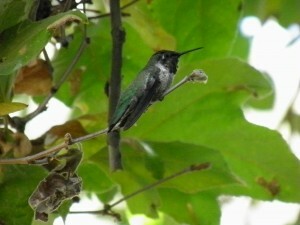 Back in the 30s, 6,000 hummingbirds at a time buzzed the Dorothy May Tucker Bird Sanctuary in Orange, County, CA. 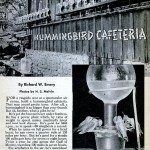 Dorothy and her husband Ben perfected the hummingbird feeder and created a national spectacle in what they called the Hummingbird Cafeteria. When I went recently I got to see just a handful of hummingbirds, but the sanctuary has branched out to include other birds, too. 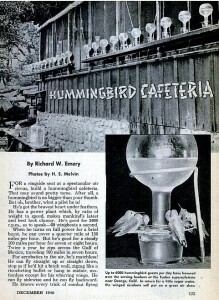 In 1946 Popular Mechanics did a story on the incredible invention of the hummingbird feeder. 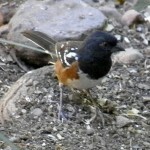 For the first feeders, Ben took a cactus flower–preferably red–and cut off the back. Then he impaled the flower on a straw, which he stuck in a beaker of sugar water. The magazine gleefully reports that “once he’s sampled the syrup, he’s yours. 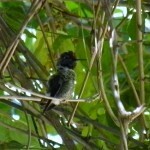 After a few days he’ll drink from the test tube without a flower.” I guess that explains those clumsy yellow flowers on all red hummingbird feeders–and why they work so poorly. 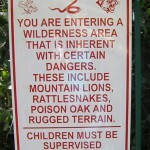 The sanctuary doesn’t just get hummingbirds. 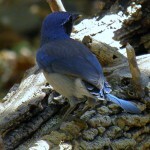 They set out seed for scrub jays, titmice, sparrows and spotted towee. Now you can visit the sanctuary named after him in Orange County, CA, and since it’s totally full of hummingbird and other feeders, you’ll almost certainly see at least one. 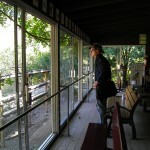 And you get to sit in the coolest bird blind–a big porch smothered in vines that hide the bleachers. 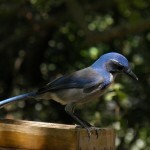 After Dorothy died, Ben donated the special place to California Audubon, which eventually gave it to Cal State Fullerton. During WWII they got special permission to keep using sugar, then scarce, to feed the birds. They’re best known as a field trip destination, but they’ve got all kinds of events and festivals for hummingbirds, bats and butterflies. Bat night is coming up Oct. 23. 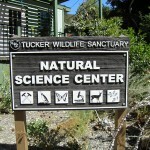 The sanctuary is near Saddleback Church and at the end of Modjeska Canyon Road, a curvy, horsey drive through an oak forest that miraculously shows up in the middle of the desert. 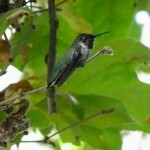 I have a humming bird nest in my yard and one of the babies flew away on July 4th but the other one can’t fly. out that he well get out of the yard. He did yesterday while I was out. Thanks for any information you can give me. I also live near Saddleback Church. Please help I found an injured hummingbird. Where can I take him to be cared for?